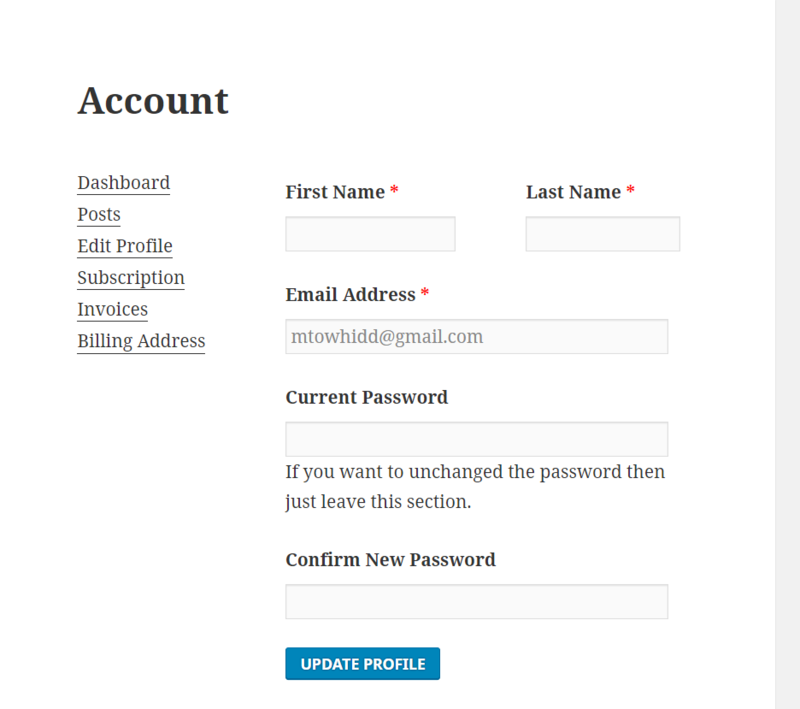 This tutorial will help you to create an account page for your users. Just follow these simple steps. Now, put a title and simply copy-paste the following shortcode. From here, you can view all your created posts with their status. You can also edit or delete them directly from this page. 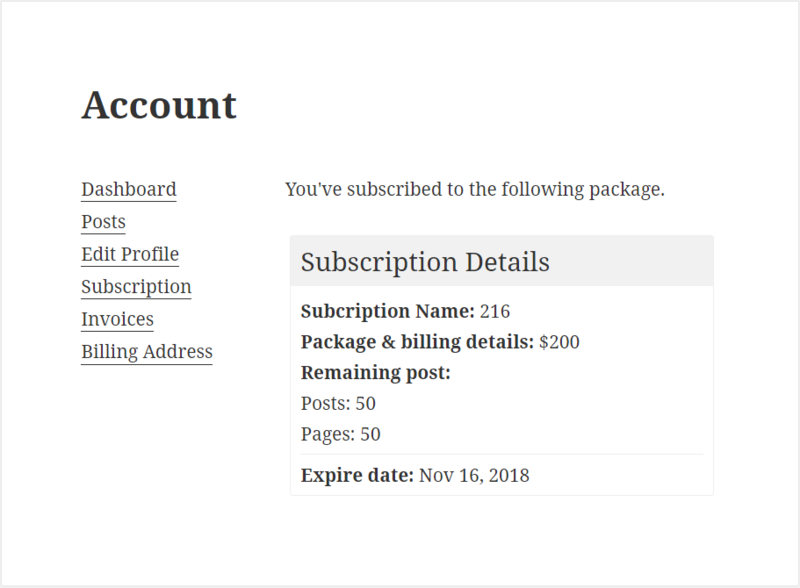 This page contains the details on your subscription packs. Here you can see everything about the subscription packs you have been subscribed. This page contains the details on your invoices, also they are in .pdf format so you can download. 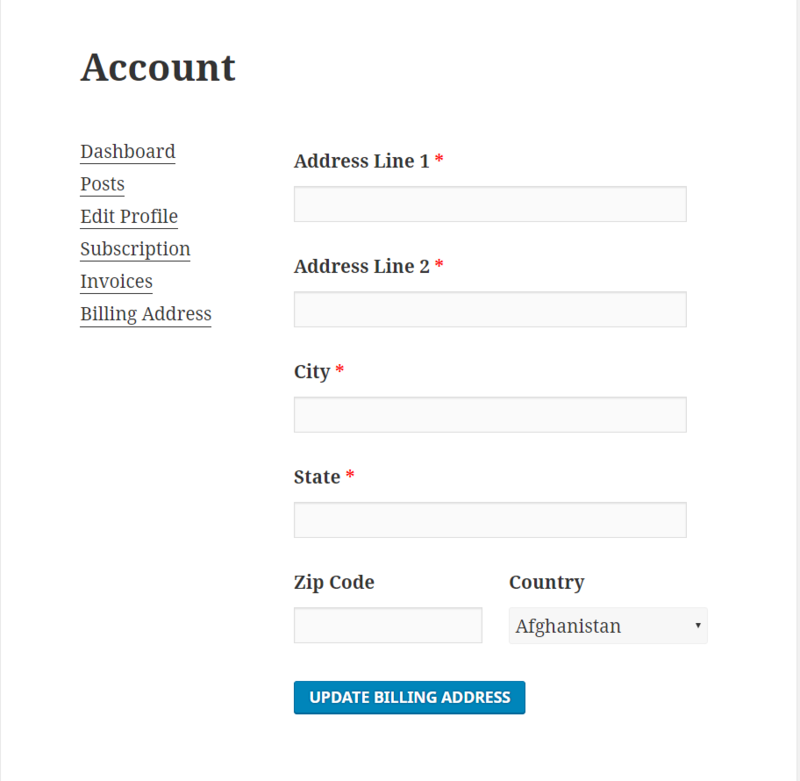 This page contains the details on your billing address. You can update it, which allows you to ship your product wherever you are in the world. 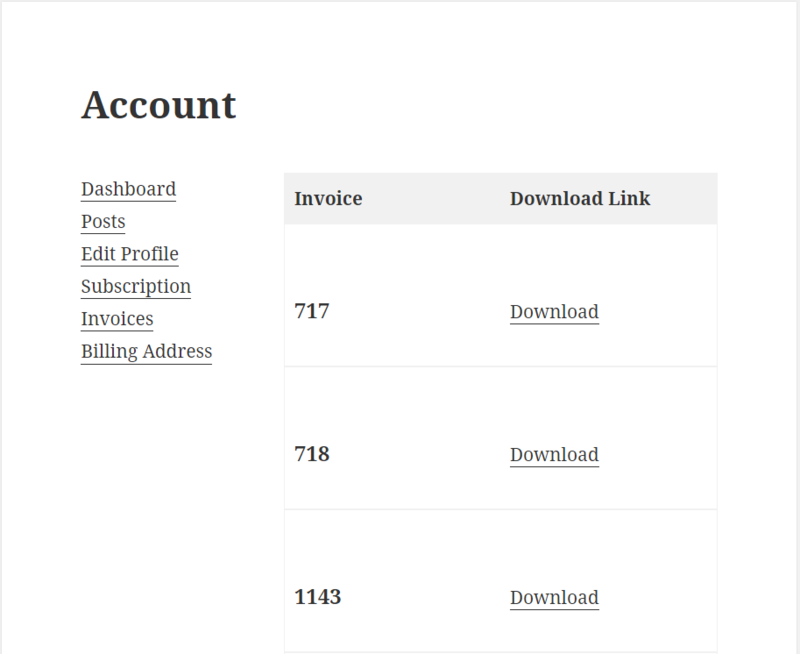 To add the Payment menu to My Account page, go to wp-admin→User Frontend→Settings→Dashboard. Turn on the checkbox for Show Payment Column if it's not enabled. Then click on Save Changes. 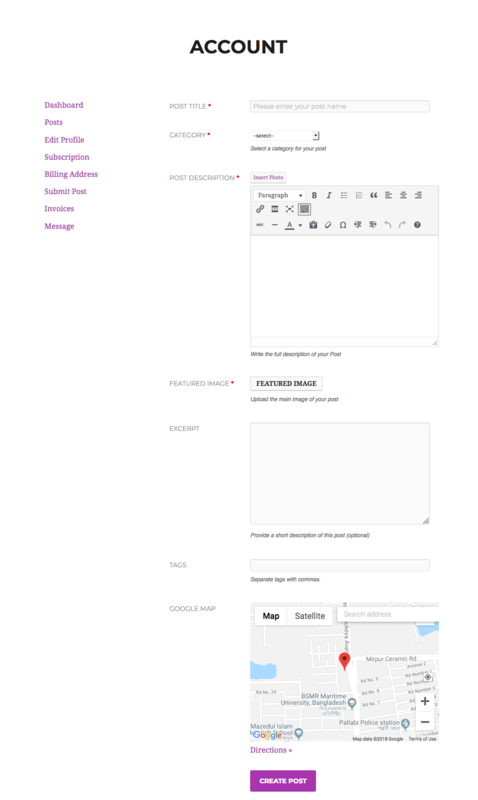 Users can now view Payments made for post forms. 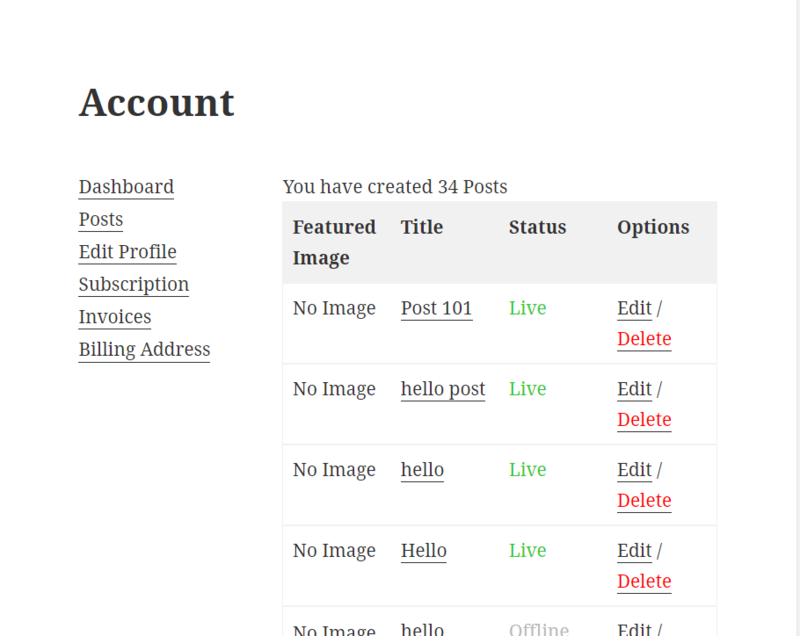 Go to site frontend→My Account→Posts. With WPUF Free 2.9.0, users can directly submit a post from their My Account page. 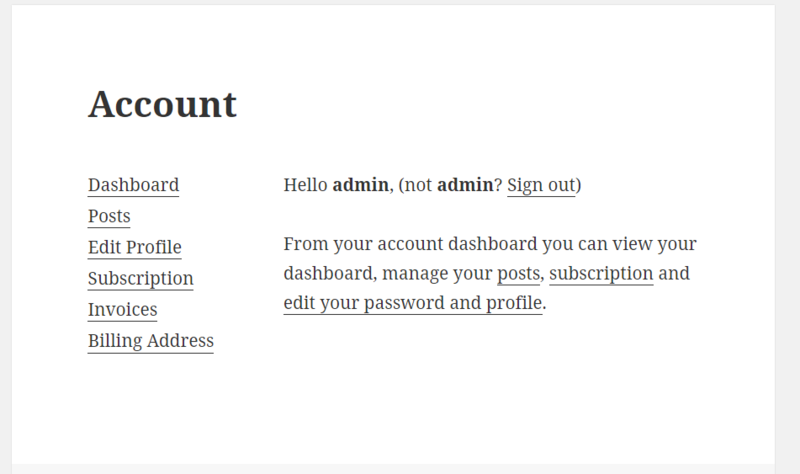 Admins first need to navigate to wp-admin→User Frontend→Settings→My Account. Then enable the checkbox for Post Submission. Change the Submission Menu Label if you like. And select the Submission Form from the drop-down. Then click on Save Changes. This completes the configuration for My Account page.